HOLLYWOOD hellraiser Charlie Sheen is planning a trip to Scotland – to hunt for the Loch Ness monster. The Anger Management star, 47, is convinced he can solve the mystery of what lurks in the loch. 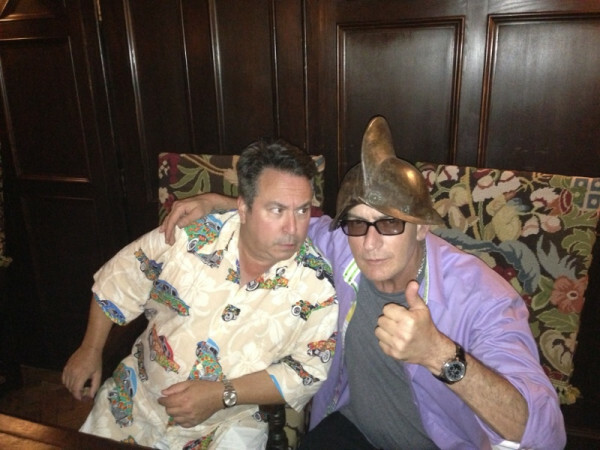 He revealed his madcap plan on Twitter, posing for a snap in what he called his “hunting gear”, a bronze battle helmet, along with friend Brian Peck. Sheen was soon flooded with encouraging messages from fans all over the world wishing him the best of luck with the mission. The first recorded sighting of a monstrous creature in Loch Ness was by St Columba in 565AD.